In my blog posting of 29 June I briefly mentioned our visit to Domaine Arnaud Ente in Meursault. We tasted all Ente's whites, and our undivided conclusion was that these wines are of extraordinary quality. Jan van Roekel wrote a summary of this tasting on his website Burgoholic. The current state of affairs: Bolomey Wijnimport has just become Ente's exclusive importer for The Netherlands. Certainly worth mentioning I would say. But what makes Ente's wines so special? 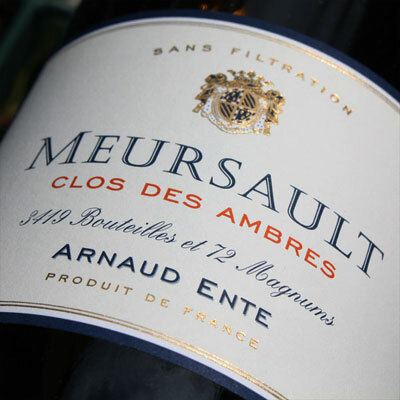 First: a ruthlessly ambitious winemaker is working at one of the finest terroirs for white wines on the face of earth - the appellation Meursault. Ente is uncompromisingly dedicated (all year round there are four people for just over four hectares!) to make the very best wine, according to his own ideas. Ente produces a harmonious, natural style of wine, which can in fact be found between the thick-oaky-style on the one side, and the lean-mineral-approach on the other side of the Meursault spectrum. Second: Ente is successful. 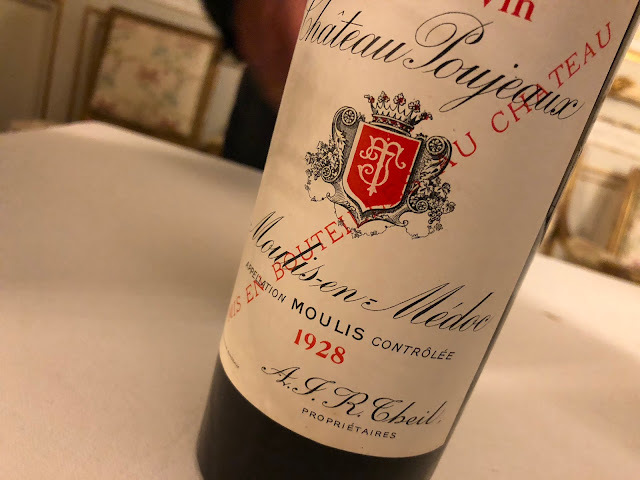 If I try to summarize his wines, the common denominator - from Aligoté to Premier Cru - is balance, and, partly as a result of this, richness and versatility: it is due to this harmony that every facet present in this wine can shine. This makes drinking Ente an exciting, almost sensual experience. Moreover: these natural, not too heavy wines never tire. They are complex wines, yet made for drinking. Combine this with the fact that Ente's production is small (just 4,25 ha), and we get a sought-after wine. If you don't live in The Netherlands but would like to taste Ente's wines, you might try booking a table at one of the following restaurants: La Bastide Saint-Antoine (Grasse), Bernard Loiseau (Seaulieu), Petit Nice (Marseille), Michel Bras (Japan), Alain Chapel (Mionnay), Daniel Boulud (New York), Manoir d'Hasting (Tokyo), La Rotonde (Charbonnières Les Bains), Hameau Albert 1er (Chamonix), L'oasis (La Napoule), Enoteca Pinchiorri (Florence) and Gambero Rosso Pierangelini (San Vincenzo). Next month I will be in San Vincenzo myself, and am definitely intending to check out Fulvio Pierangelini's Gambero Rosso. More about that later. If you are able to read Dutch and are interested in further information, I would suggest that you check out the Bolomey Wijnimport website.